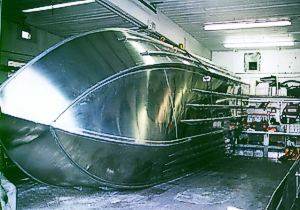 Manufacturers of Silver Streak welded aluminium boats. For optimum safety and integrity, "Silver Streak Boats" are unbeatable literally. For years & years they have been tried and tested through harsh & unforgiving conditions, and the operators and owners are confident! Why? Because they know "Silver Streak Boats" are the cutting edge in performance, safety and durability. We make no sacrifices. At Sunny Shores Resort & Marina offers modern housekeeping units with colour cable TV, tent and trailer sites, fire pits, picnic tables, clean washrooms, Laundromat, large pool, mini golf, horseshoes and children's playground. 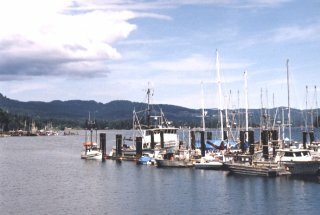 Full marina facilities, boat launching ramp, moorage, gas, diesel, bait, tackle shop, plus boat and motor repairs. Pets on leash. Open all year. Archive of Tourism related News Stories about the Sooke area. Endless miles of unspoiled beaches and parks. Sooke is renowned for it's hospitality - B&B style! Nestled on beaches or in the Sooke Hills. Privacy and nature. Larger groups? Staying a little longer? Enjoy all the conveniences of home. From pampered luxury to affordable accommodations. Affordable accommodations & plenty of outdoor fun. Services specifically catering to travel and tourism in Sooke, BC. From a 60's diner to Haute Cuisine, you'll eat well in Sooke! Arts and crafts, marinas, real estate, shops, services and other conveniences. Here you will find goods and services from outside Sooke listed geographically. A vibrant community only 10 minutes from downtown Victoria yet a world away from the rush of everyday life. Nature lover's paradise with a sparse population and many wide open spaces. A Traveler's guide to the Garden City of the Canada's west coast. research who the search engines list in the top 5 - www.dogpile.com - and identify 3 to 6 keywords and keyword phrases associated with your product and service.